The installation of solar energy systems in NYC lags many other parts of the country but it definitively makes economic and environmental sense. Kaya Laterman’s article New York Times article(see below) explains it perfectly but it omits a crucial calculation: return on investment (ROI). Why wouldn’t EVERYONE do it? does my rooftop have the space to accommodate a solar array greater than 1,000 SF (a high rise building with 5,000 floor plate would barely have enough space to fit an economically feasible array). It needs 600 SF for the elevator and stair shaft, water tower, vents, 1,500 SF for HVAC, 1,000-1,500 SF for mandatory “firemen’s travel lanes” leaving almost no room! do I still have space to fit an electric panel array? Nothing is impossible but it is certainly not an easy (or cheap) proposition but we should all strive to install as many of them as possible for the good of our City, environment and our health. Solar power in New York City may finally be having its moment. 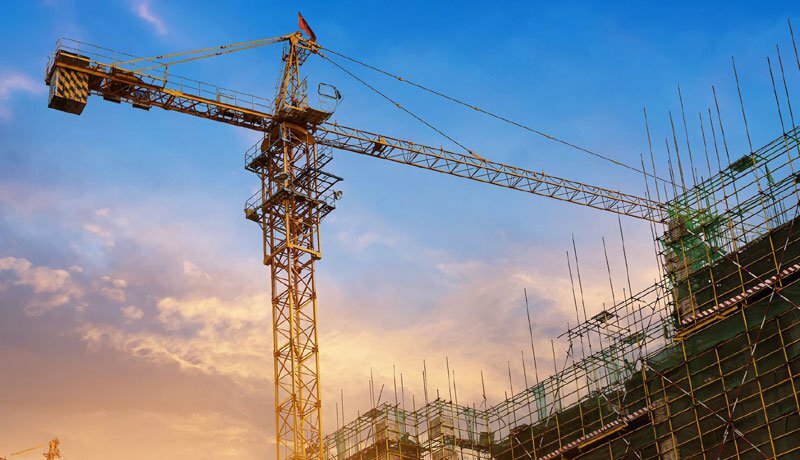 The number of residential projects across the five boroughs has risen to more than 5,300 this year from 186 in 2011, according to state officials, and there are another 1,900 in the pipeline. The solar boom has been prompted by a 70 percent drop in installation costs in recent years, according to the Solar Energy Industries Association, along with the streamlining of government approvals and incentives. The upfront cost for installing solar panels on a single-family house runs between $20,000 and $50,000, but federal, state and city incentives and tax credits can cut that cost in half, said David Sandbank, the director of the New York State Energy Research and Development Authority’s NY-Sun initiative, and homeowners say that once solar panels are up and running, monthly energy bills can fall by as much as 85 percent. Most of the city’s existing solar projects are on single-family houses on Staten Island, but townhouse owners in Brooklyn are getting on board, and owners of apartment buildings in the Bronx and Queens are also starting to consider ways to harness the sun’s power. The solar industry itself has surged. According to the city’s Economic Development Corporation, five solar installers were operating in the five boroughs in 2005, but by 2015, the number had increased to about 55 companies, employing about 2,700 workers. Gov. Andrew M. Cuomo has called for half of the state’s electricity needs to come from renewable resources by 2030, while New York City Mayor Bill de Blasio wants greenhouse gas emissions in the city cut 80 percent by 2050. To that end, Mr. de Blasio last week unveiled a new 3,152-panel rooftop solar installation at the Brooklyn Navy Yard, as a step toward the goal of generating 100 megawatts of renewable energy on public buildings by 2025. Ann Schaetzel, 70, a filmmaker, and Richard Barber, 63, a TV producer and editor, recently converted their two-family home in Gowanus, Brooklyn, to solar power, after being inspired by a neighbor who installed solar photovoltaic panels on his roof a few years ago. “I never thought I could afford it,” Ms. Schaetzel said. She joined what is called a solar purchasing group with four other homeowners in her area, through the city’s Solarize NYC pilot program. The group was organized by Brooklyn Community Board 6 and Solar One, a nonprofit. The homeowners sat through dozens of meetings to learn about solar energy — including financing options and the city’s permitting process. As a group, they were able to negotiate a 20 percent discount on installation costs. Ms. Schaetzel purchased a 4.25 kilowatt solar system, which was up and running in March, with 14 solar panels perched on her rooftop. The average system for a home in New York City is about 6.5 kilowatts. The installers determined the optimal size for Ms. Schaetzel’s home based on her monthly bills. Ms. Schaetzel’s electricity bill in August was $36.10 for a service connection charge to Con Edison, a fraction of the $250.19 bill she paid in August 2015. The connection to Con Edison is required since owners must use the utility’s grid to push back any excess power their solar system produces, and also to have access to electricity if, say, there’s a run of bad weather. Solar panels occasionally short circuit and need replacing. Most solar panels come with a 25-year manufacturer’s warranty but generally require little maintenance. Ms. Schaetzel said her 14-panel system cost $27,225, which was cut to $6,925 after incentives, credits and rebates. It took Ms. Schaetzel about two years from her first meeting to get her solar system connected, but policy changes have trimmed that time frame to about a year, said Christopher Neidl, the director of the Here Comes Solar program at Solar One. The city’s Department of Buildings now can issue a permit for a home solar system in a matter of days, not weeks. Websites have also been created to make it easier to join a solar purchasing group, and also to check your home’s solar capacity. Steven Tornquist, 40, and Sabrina Tornquist, 39, own a single-family house with solar panels on the roof in Eltingville, Staten Island. He works for his family’s company, Tornquist Plumbing & Heating; she is a teacher’s aide. They interviewed three installers before choosing American Solar Partners, in part because the firm, based in Mount Vernon, N.Y., used union contractors. The 40 panels on the roof cost the couple about $53,000, and they paid about $5,000 upfront. They received $11,200 back, thanks to federal, state and city incentives and tax credits. The couple decided to take out two loans to pay off the rest of the bill. One loan is from the state energy authority and is paid at the same time as their monthly Con Ed bill, totaling less than $200 per month. Mrs. Tornquist said the electricity bill averaged about $320 per month before they went solar. After the system was installed in May 2015, the bills dropped to $18 a month during the summer and about $50 a month during the winter. Solar power first took off in Staten Island, Long Island and Westchester County, largely because many residents own houses with large pitched roofs that face south, optimal conditions for generating the most kilowatts. It hasn’t been as easy for homeowners in more built-up areas. Shade from neighboring buildings is the most limiting factor, and many solar installers are not interested in setting up systems on small flat roofs, according to Mr. Neidl. “The large national installers would see a small roof on Google Maps and they would say: small system, big hassle, no thank you,” he said. The city’s fire codes also made it difficult for installers to place enough panels to yield sufficient power, said Ronnie Mandler, the president of Best Energy Power, a Long Island solar installer. The New York City Fire Department requires a clear path of six feet from the perimeter of the roof, as well as from all doors, skylights and hatches, so firefighters have enough room for themselves and their equipment. That limits the amount of usable space on a typical townhouse with a 20-by-45-foot roof. “The city’s stringent fire codes are the reason the solar market hasn’t gotten bigger here,” Mr. Mandler said. That said, installers have come up with some innovative solutions. Gaelen McKee, the president of Brooklyn SolarWorks, worked with a structural engineer and a design firm to create a solar canopy that raises the entire PV system off the roof by about 10 feet with aluminum frames. Mr. McKee said fire codes limit the typical rowhouse to about 16 roof panels, but a canopy system can more than double the number of panels by elevating the panels over the roof, thus using most of the building’s footprint. He said he now installs about eight canopy systems a month and expects to double his business over the next year. Owners of apartment buildings are also eyeing the sun. Jac Zadrima, a principal of Genesis Realty Group in the Bronx, placed solar systems on 21 of the 40 rental buildings the company owns. He estimates that he saves about $6,000 to $10,000 per building a year, and said that savings helps maintain other building operations. Similarly, after spending $1.7 million to install solar systems on nine rental buildings in the Bronx, Brooklyn and Queens, Daniel Benedict, the founder of Benedict Realty Group, estimated that the investment will have paid for itself in about five years. The 552 panels across the four buildings that make up the firm’s Alpine Apartments in Jackson Heights, Queens, generate about 157,000 kilowatts of electricity per year. Between January and August, the Con Ed bill for the buildings’ common areas totaled $5,334, significantly less than the $18,850 he paid during the same period last year before he went solar. Cecil D. Corbin-Mark, the deputy director of West Harlem Environmental Action, a community organization, said he worried that the less affluent would be left behind in the city’s solar revolution. The organization has urged several Housing Development Fund Corporation co-ops in the neighborhood to go solar, but convincing people to spend money for future savings is difficult. “Many of these buildings don’t have much in reserves, so boards are hesitant to take out loans,” he said. Even if co-ops and condominiums have sufficient reserves, getting the residents on the solar bandwagon is often difficult, said McGowan Southworth, 41, a founder of Zero Carbon Corporation, a green energy consultancy that has helped co-ops go solar. Mr. Southworth understands the struggle: When he was president of his co-op board, it took him over a year to obtain shareholder approval, install a solar system and switch meters at his own building in Sunset Park, Brooklyn.